Charles is getting married and his scheming mother-in-law has presented him with a backhanded gift. Unfortunately he must accept the gift to keep his bride happy but it's almost certainly going to make him bankrupt. So being the self-made man that he is, Charles comes up with a plan, determined the gift will be his greatest achievement rather than his, and the town's, ruin. 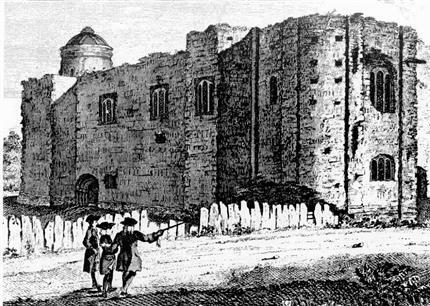 The Packing Shed Theatre Company present a new promenade play based on the real life events surrounding the restoration of Colchester Castle in Georgian times. Please bring blankets, chairs and brollies – just in case. There will be a chance to buy refreshments before the show. Theatre-goers should go to the War Memorial just outside the Main Gates from 7.30pm, where you will be met and taken into the park after it closes to the general public. Unfortunately due to the nature of the staging of the show, we cannot accept any late-comers after 8pm.